i’ve been working on this afghan for a couple of years, including a stop when i ran out of yarn and had to order more! 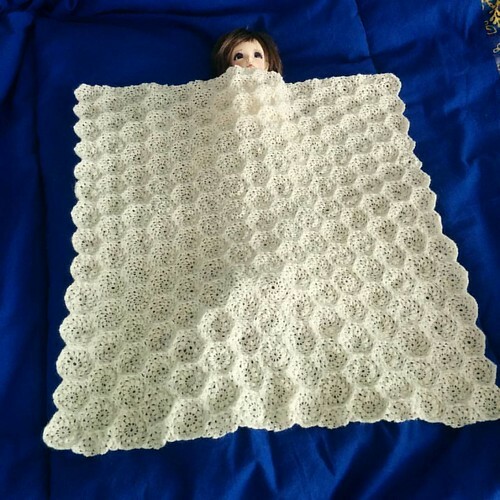 i really wanted to do at least one blanket in a really fine scale, so this is done in cobweb weight yarn using a 1mm hook. now i’m just trying to decide whether it is done and can be blocked as is, or do i need a border to really make it look finished. I think it’s absolutely beautiful just the way it is to be honest! Well done, such a lot of hard work! thank you. i liked it that way, but ended up putting just a simple border on it and it looks more finished to me. i’ll post the new pic soon.